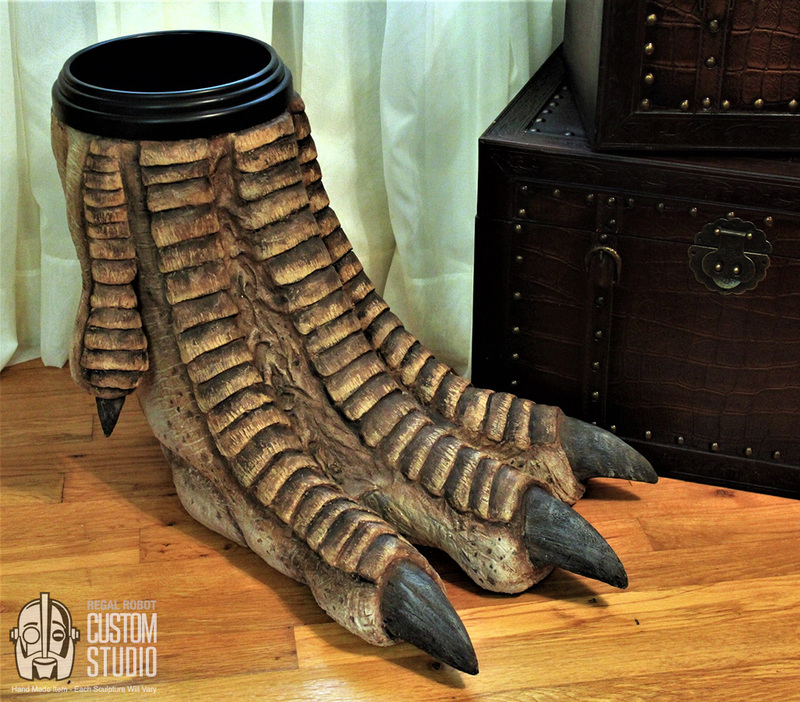 Add some adventure to your man cave or office with a sculpted Dragon or Tyrannosaurus Rex foot created by theme prop artist, Richard Riley. 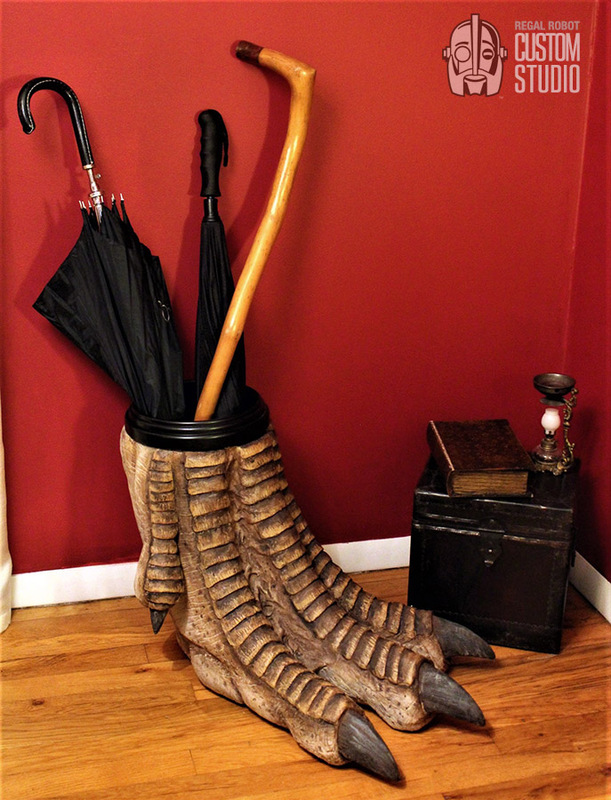 This 100% faux taxidermy can function as a waste paper basket or (if you’d like to request customization) an umbrella or cane holder or even a planter. 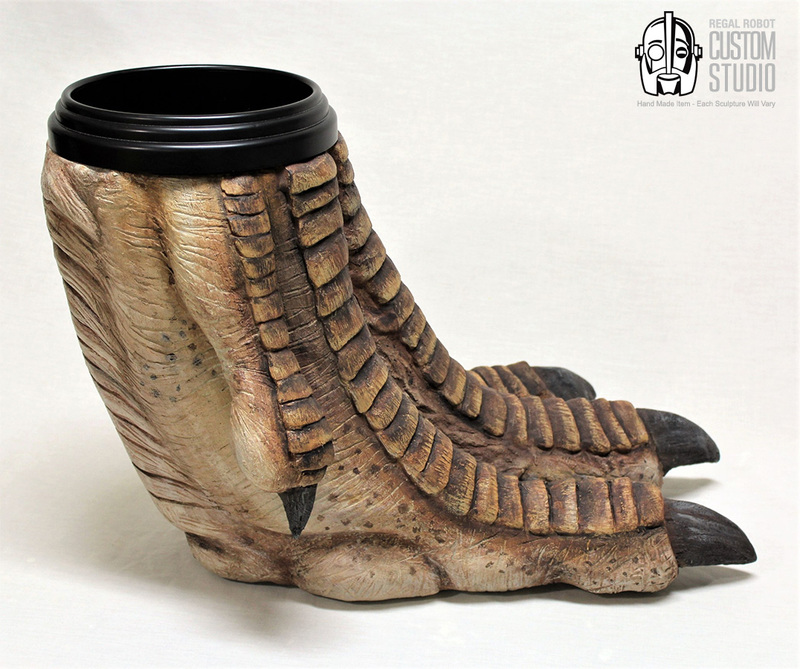 And because each is hand finished, you can request custom coloration to reflect either a dragon foot or a dinosaur look! 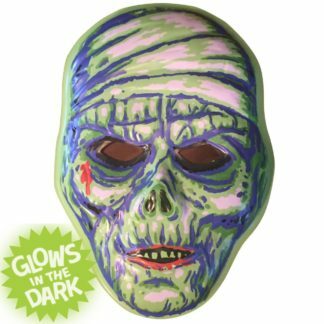 Our artists have spent years creating props for theme parks and trade shows. 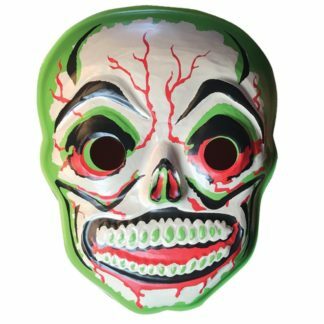 Now we’re offering these amazing themed pieces as functional decor for your home, office, man cave, fan cave, bar, tavern or cavern! And as with all of our creations, custom sizes and styles are always available – simply send a custom request with the details of what you’d like and we’ll get you a quote! Our artists have spent years creating dinosaurs for theme parks and trade shows. 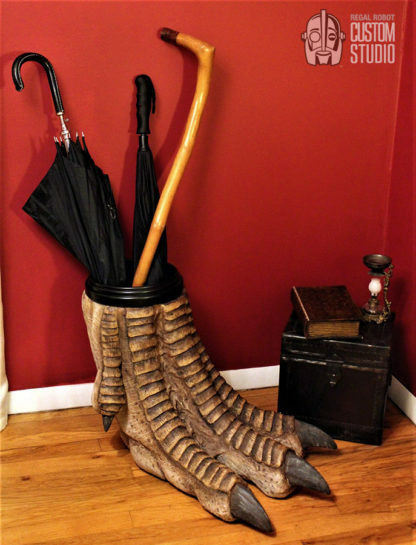 We’re now offering these amazing themed pieces as functional decor for your home, office, man cave, fan cave, bar, tavern or cavern! 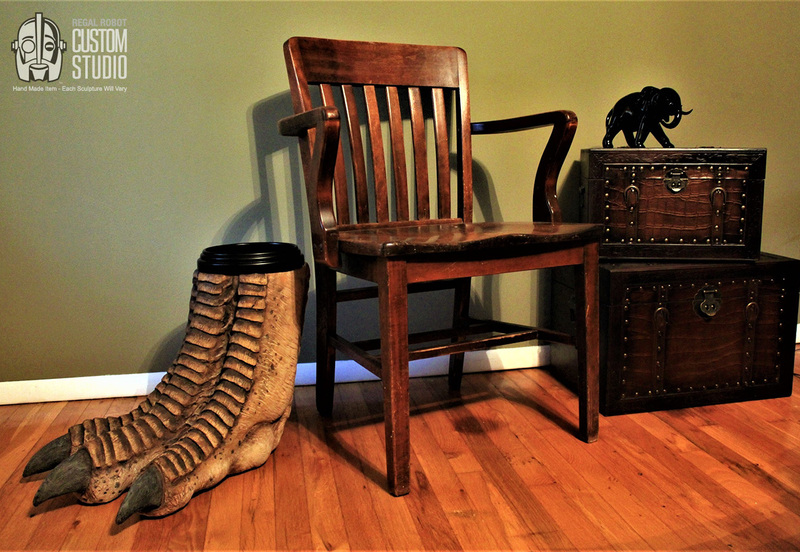 This dinosaur themed waste basket is an extension of that work. 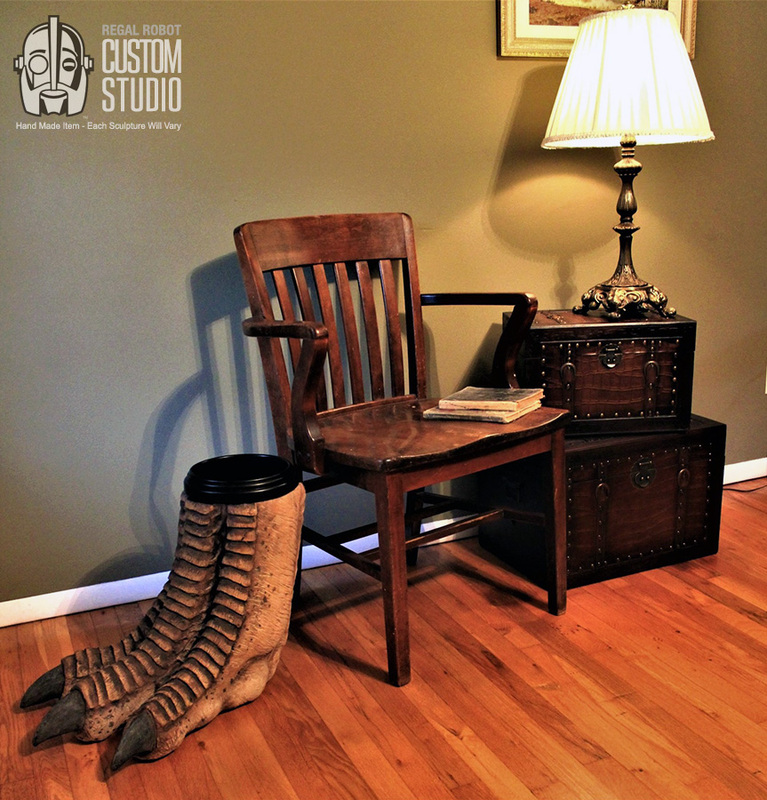 In the Regal Robot custom studio, we make one of a kind and hand made pieces of furniture and art for our clients. 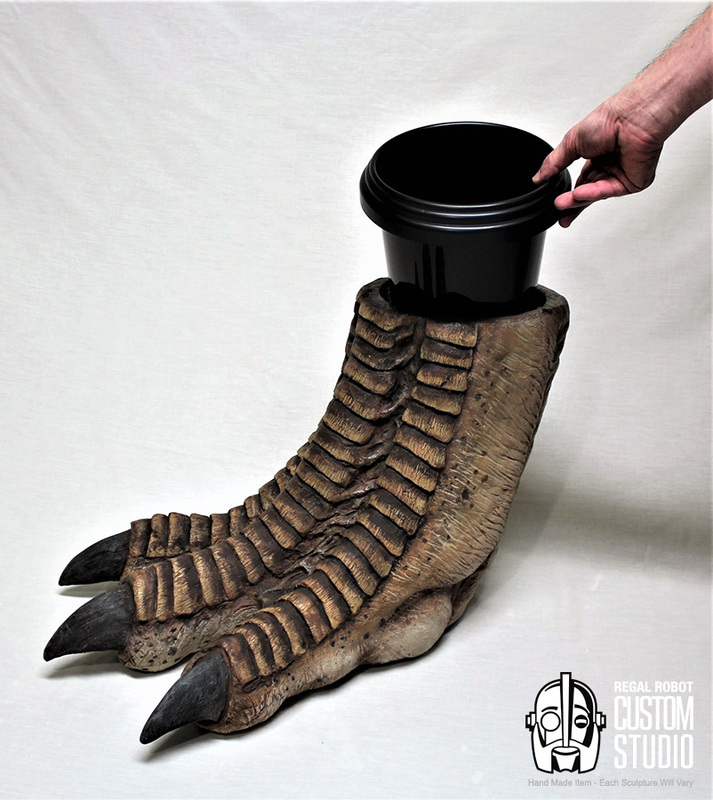 Each dinosaur foot waste basket will be hand finished like a theme park style prop. This means no two pieces will be exactly alike. Each sculpture is then hand painted with layers of aging and detail for a realistic, appearance. This means we can tailor the coloration to your preference! Love classic green dinosaurs? 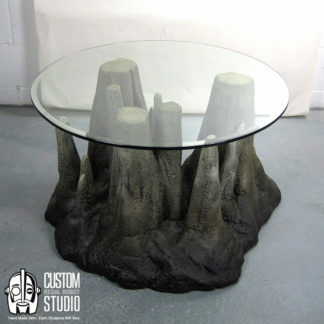 Want a modern Tyrannosaurus Rex look? Or maybe go with bolder colors to create a bright red dragon foot? 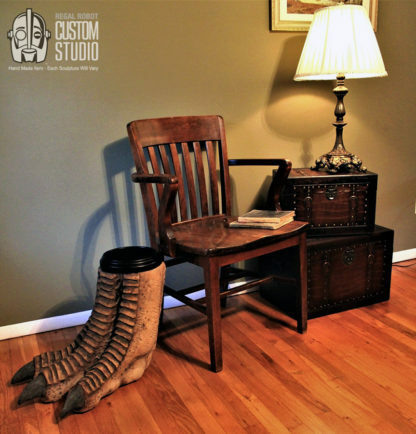 Our Custom Studio lets us tailor our creations to suit your needs! Additional custom sizes and styles available – simply send a custom request with the details of what you’d like and we’ll get you a quote! Created by our artists in the USA. 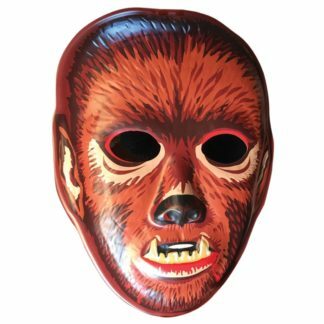 Hand finished item – each item will be slightly different.